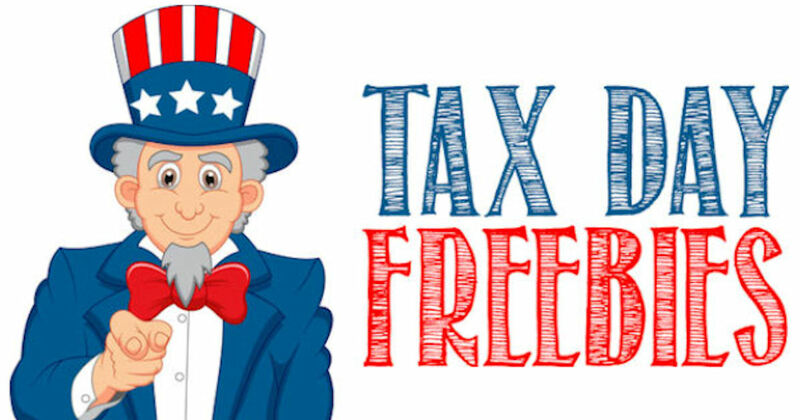 2019 Tax Day Freebies RoundUp! April 15th is here, but you can ease the pain of filing your taxes with the hottest freebies in our Tax Day Freebies RoundUp! Keep an eye on this page because we'll be adding more goodies throughout tax day! Did we miss something? If you know of a Tax Day freebie that's not listed, please share it in the comments below and we'll add it!